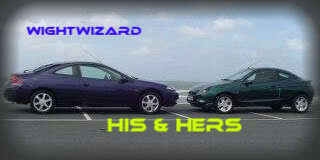 I am Allan, aka wightwizard, knackered old pyromaniac, lush and all round good guy. I reside on the Isle of Wight but not withstanding this, have made the summer scout camp where various trees/pallets/logs have been burnt on a couple of occasions and xmas dwinkies with my good lady (her who MUST be obeyed). The good news some may say is that I don't drink any more ... but I certainly don't drink any less. Will try and put a pic up . Why do today what you can leave until tomorrow. NEW MEMBERS............PLEASE FEEL FREE TO TELL US ABOUT YOURSELF IN THIS THREAD IF YOU HAVENT ALREADY DONE SO. Guess I must be the oldest member, 70+ and driving a Cougar! I'm a musician, a Cowboy and play in a Blues,Skiffle,Country Band. Used to be an Environmental Engineer working in the Aircraft/Electronics industry until I retired awhile back. with the aid of a HIDS4U pro.unit that was bought for me at Christmas and suggested by a couple of you boys awhile back. Only problem is that there are no Instructions so I may have to check in again for some help! cos' of the hard suspension! 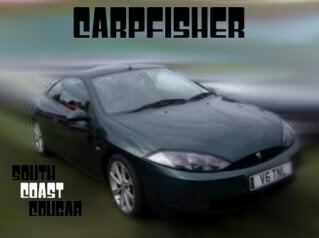 I live in the Farnham area with my partner and who likes the Cougar but she does drive a Focus! Anyway boys, a good new year to you all from this ol'timer. 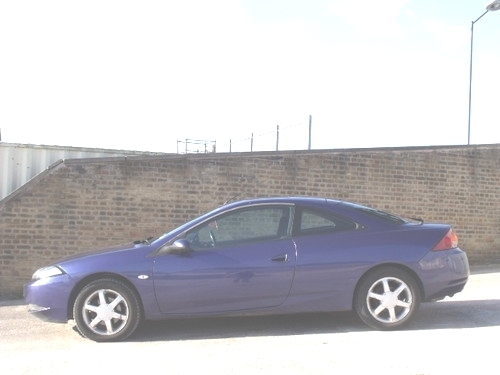 Hello Everyone, My name is Ernie, I have owned a Melina Blue Cougar 2.5 1999 for 2 years now, completely standard exept for K&N and white dials. I have been a member for a few years now, I recently retired (early) from a very stressful job as a senior technical operations manager with BT after 32 years, the job left me no time for my family or other things in life. 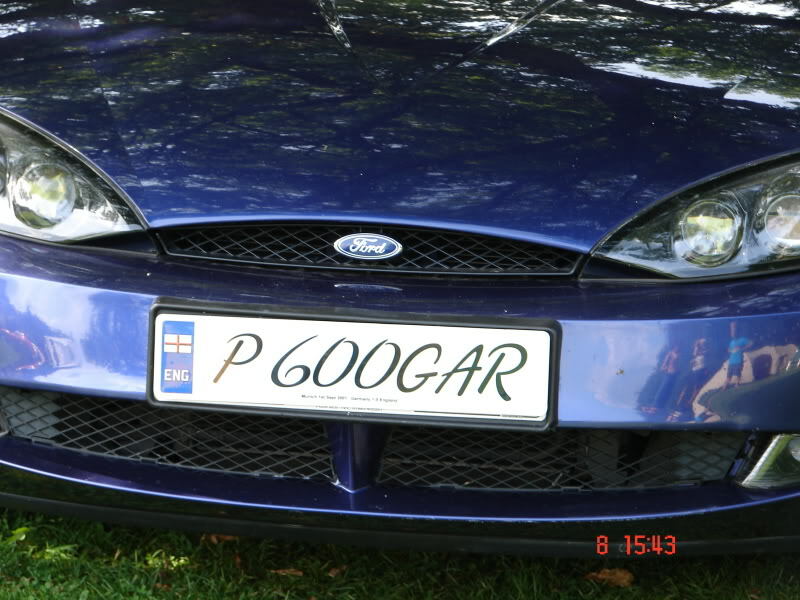 We have a 2.5 auto V6 Cougar in Ebony, I have owned the car for about 6 years it's very low mileage with just 24k on the clock which is genuine. I never thought I would have to sell the car, but with only 1 income now it will be up for sale very soon !! so keep any eye on the "for sale" section. This is an introductory thread. A place where new members could be encouraged to post up and say hi and tell us all about themselves and their Cougar. 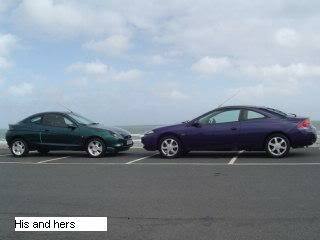 Hi to everyone..Im shaun aka REBEL.I am lucky enough to own 2 cougars both blurple.The first i have owned for about 3yrs.bog standard 2.0ltr zetec,used to be my everyday car until bout a yr ago when clutch gave in and at the time due to finances i couldnt afford to get it repaired.Then i had the oppurtunity to purchase a very cheap 2.5 v6 again in blurple which apart from fitting an induction kit is still standard at the moment although i am in the process of refurbing a set of 17 inch rims to go on her also have a drift bodykit tucked away up in the loft which i brought but have yet to decide to take the plunge and fit. I live down in plymouth uk. I have experience in the motor trade both from working in garages when i was a lad and from what i have taught myself over the years. Glad you found us ... There's quite a few of us dotted along the south coast so always nice to get a new member ..
Blue is by far the best colour lol and the drift kit is good as long as you take your time fitting it correctly I removed one for an old member and it was a bloody nightmare lol.